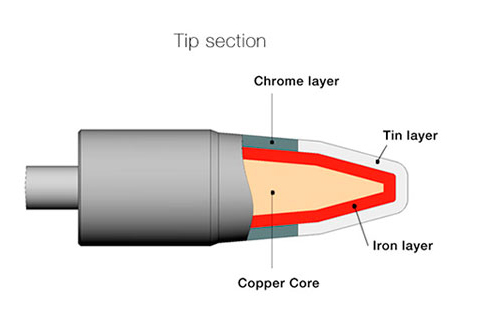 These cartridges are designed for Standard Soldering Purposes. Its design includes a square cross-section that centers the cartridge perfectly into the Soldering Irons and guarantees precise vertical positioning. Due to this square cross-section, the cartridge can be used in 4 different positions, which can be changed in 90º steps. They are available in different shapes and sizes and have the same benefits as all the others cartridge ranges. These cartridges fit to the Soldering Irons TR245 and TRA245.